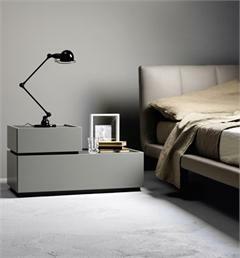 Sirio Bed by Sangiacomo Furniture Italy. 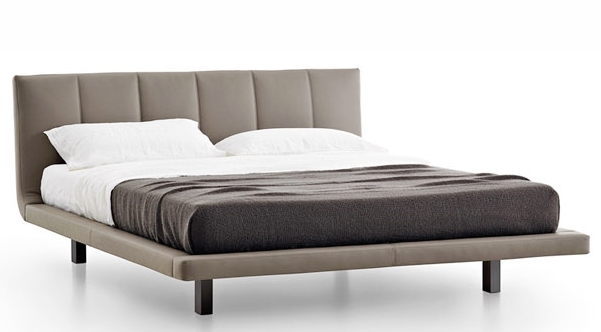 The Sirio Platform Bed features a gently curving padded headboard with double stitching for durability and elegance. 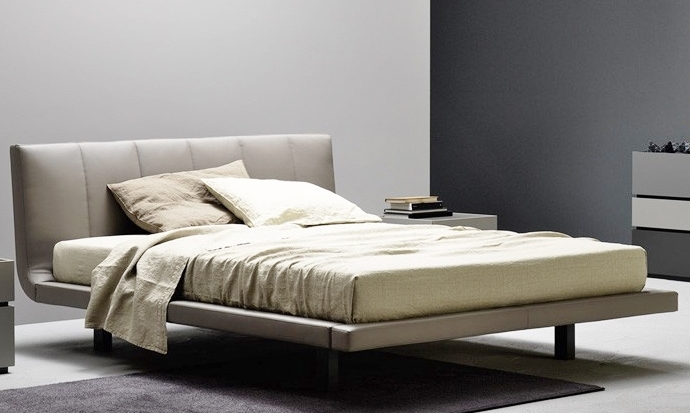 Sirio Bed seems to float above the minimalist legs of this platform bed. No mattress included. 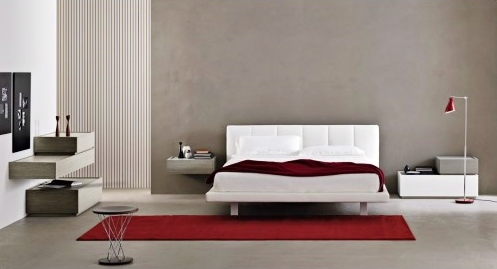 Sangiacomo Furniture of Italy manufactures modern beds, nightstands, dressers, entertainment centers, wall systems, wall cabinets, media room furniture, bookcases and sideboards in a modern Italian furniture factory that prides itself on unique Italian furniture designs and the best of Italian furniture craftsmanship. 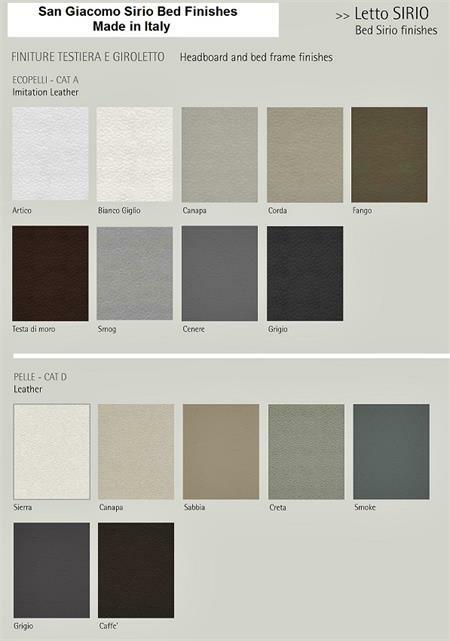 Sangiacomo of Italy differentiates themselves from the competition with its high quality production methods, strict quality control in the manufacturing process, and by continually improving performance from investments in research and development.